SAVANNAH, Ga. (AP) — Less than two months after British forces captured Savannah in December 1778, patriot militiamen scored a rare Revolutionary War victory in Georgia after a short but violent gunbattle forced British loyalists to abandon a small fort built on a frontiersman's cattle farm. More than 234 years later, archaeologists say they've pinpointed the location of Carr's Fort in northeastern Georgia after a search with metal detectors covering more than 4 square miles turned up musket balls and rifle parts as well as horse shoes and old frying pans. The February 1779 shootout at Carr's Fort turned back men sent to Wilkes County to recruit colonists loyal to the British army. It was also a prelude to the more prominent battle of Kettle Creek, where the same patriot fighters who attacked the fort went on to ambush and decimate an advancing British force of roughly 800 men. 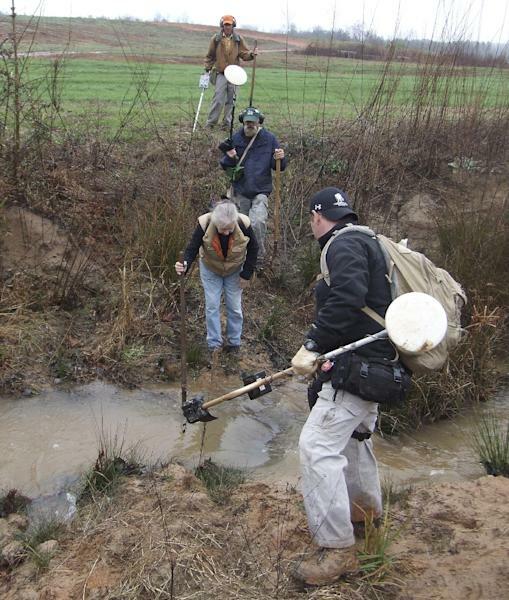 "The war was going badly up north for the British, so they decided to have a southern campaign and shipped a huge amount of troops down here and started recruiting loyal followers," said Dan Elliott, the Georgia-based archaeologist who found the fort with a team from the nonprofit research group, the LAMAR Institute. "Kettle Creek was probably the best victory that the Georgians ever had in the Revolutionary War. Most battles were failures like the capture of Savannah." Carr's Fort, midway between Athens and Augusta, was one of numerous small outposts on the colonial frontier built for American settlers to defend themselves against enemy soldiers and hostile Indians. Though probably no larger in area than a tennis court, Carr's Fort would have needed to hold 300 or more people, said Robert Scott Davis, a history professor at Wallace State Community College in Alabama who has studied and written about Wilkes County's role in the American Revolution since the 1970s. "Most of the forts on the frontier were small community affairs," Davis said. "Everybody in the militia company took refuge inside the fort when the community was in danger because either the British were coming or the Indians were coming." In February 1779, about 80 British loyalists marched into Carr's Fort and took control, presumably while Carr and other patriot militiamen were away. Patriots responded quickly by sending 200 men from Georgia and South Carolina to retake the fort. Davis said the Feb. 10 gunbattle was short, with most of the shooting likely over within 20 minutes, but it left more than a dozen fighters dead or wounded on each side. Patriots gained the upper floor of a nearby building and fired down into the fort. Innocent bystanders — women, children and old men inside the stockade walls — had to huddle under cover during the firefight. The patriots seized their foes' horses left saddled with supplies outside the walls, forcing the group to abandon the fort and return to the British army. Still, the outcome wasn't exactly a decisive victory. Commanders of the patriot militiamen ordered them to break off the siege and focus on a new target: a larger fighting party of about 800 British loyalist fighters marching from the Carolinas. Unlike many of the larger battles of the American Revolution, the fighting at Carr's Fort was a skirmish between neighbors — possibly even family members — who found themselves on opposing sides of the war. And the fighting often had little to do with whether the American colonists should have freedom from British rule, said David Crass, director of Georgia's state Historic Preservation Division. "Here, the clashes were often small in scale and often were as much about settling scores between families or ethnic groups as they were about independence," Crass said. "Carr's Fort is a good representative of one of these smaller battles where many of the combatants likely knew each other." Surviving records from the Revolution gave general landmarks but no precise location for Carr's Fort. Elliott last year won a $68,500 grant from the National Park Service's American Battlefields Protection Program to attempt to find the fort's remains. Elliott set out with a six-person team in January scouring an area of more than 4 square miles, which was believed most likely to have included Carr's land. The search turned up no signs of the battle until a month later, when Elliott's team started finding musket balls on a remote plot of planted pine. 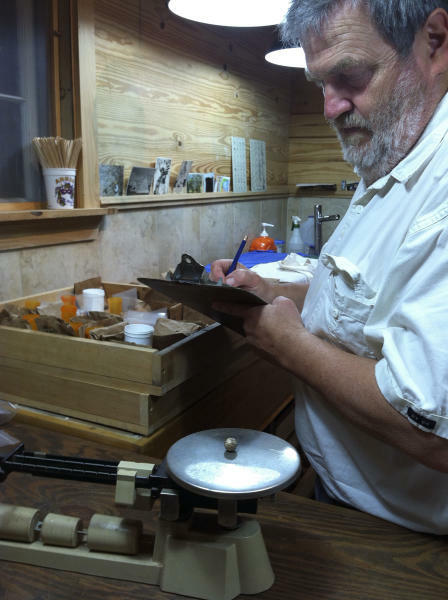 A dozen of the old bullets were recovered, as well as parts of 18th century hunting rifles favored by militiamen. 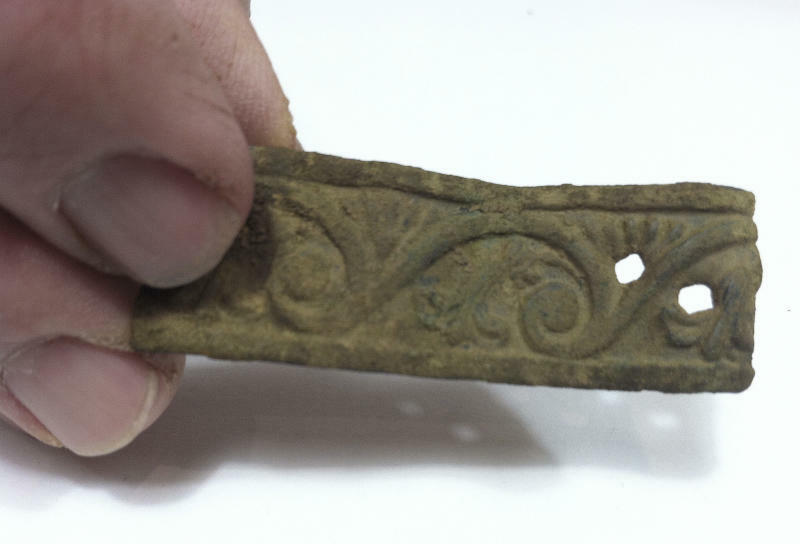 Other artifacts uncovered within a few inches of the surface included buttons, horseshoes, door hinges and wagon parts. A colonial coin believed to a King George half-penny from the 1770s also was discovered. Elliott said his team returned in March and April to make sure of their findings before announcing them last week. Though he's still searching for any remaining signs of the fort's stockade walls, he said the battle site was essentially pinpointed through the process of elimination. No other remnants of fighting were found in the surrounding 2,700 acres. The artifacts from Carr's fort are being cleaned and eventually will be turned over to the University of Georgia, Elliott said. Davis said Carr's name appears on a muster roll from January 1779, a month before the battle. The next time Carr's name next turned up weeks after the fort shootout, when his family reported that Carr was killed in a raid by Creek Indians. But there's no mention of Carr in the writings of men who fought at the fort. "They talk about Carr's Fort, but nobody said, 'I was serving under Capt. Carr.' There's just not one word," Davis said. "That is the greatest single mystery in all of this."